The Civic Centre is home not only to Uckfield Town Council, but also Luxfords, a restaurant and coffee shop; seven function rooms of various sizes available to hire; and Weald Hall, where several events are held each year. 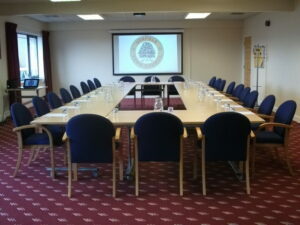 This year has the seen the introduction of fixed audio-visual equipment to all rooms except the Weald Hall, that is to follow soon. The Centre also hires out the Council’s other venues: Foresters Hall, Luxford Field and the sports pitches at West Park and Victoria Pleasure Ground. The Civic Centre is conveniently situated in the heart of the town, just off the High Street with a free public car park nearby. There is disabled access to both ground and first floors. The Civic Centre also participates in the Community Toilet Scheme. 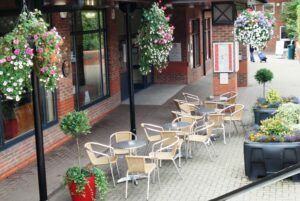 Luxfords is a friendly restaurant serving freshly made food in relaxed, spacious surroundings. Open 10am-3pm, Monday to Saturday, it serves coffee and homemade cakes, lunches including light bites, sandwiches and smaller appetite dishes as well as daily specials, and an all day breakfast. Luxfords is also licensed. 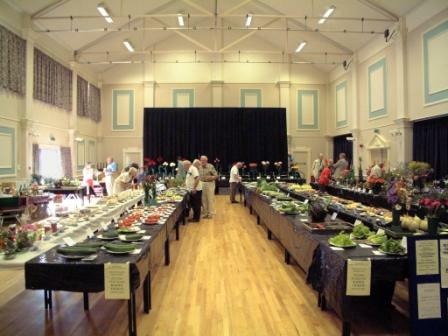 Situated just inside the Civic Centre, it has wheelchair and pram/buggy access. There’s seating outside for sunny days. You can read complimentary newspapers and magazines while sipping coffee or waiting for friends and enjoying the free WiFi. 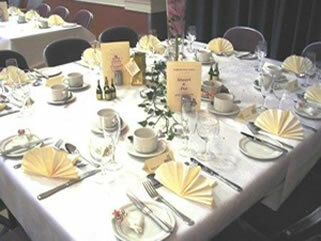 Luxfords also provides the catering for venue and room hire in the Civic Centre.